Warmer temperatures arrived, so I am taking advantage of that by wearing lighter coats and happy colors. I am sure those warmer days are only temporary (as it is only February), but I am seizing the moment! Check coat is a staple for sure, but one in a bright or unexpected color will definitely be that one piece in your closet that everyone notices and compliments on. I love standing out in a crowd and that does not mean you need to spent big bucks. This coat is very similar to one Zara had a few seasons ago (quite frankly, I liked Zara’s version better as far as the silhouette, but it was sold out before I could get it), but was so much cheaper than Zara’s, so I couldn’t complain there. 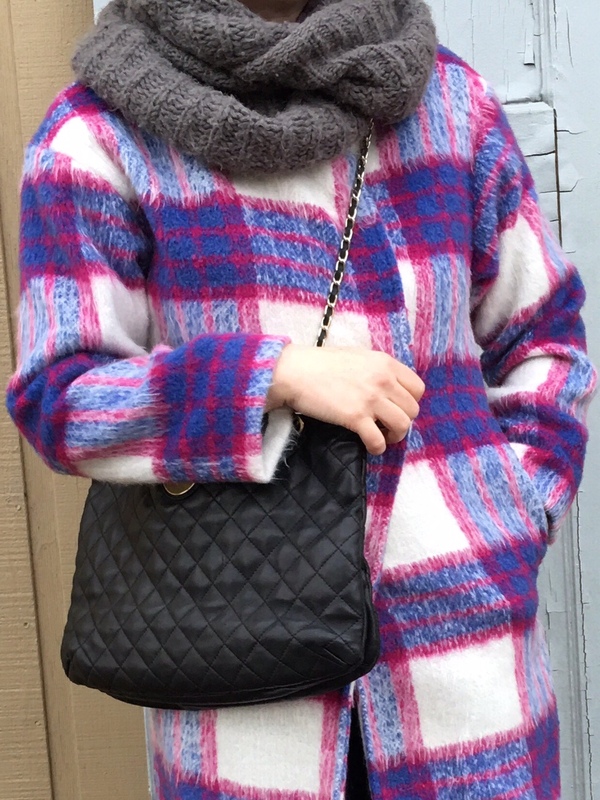 Do you love check coats as much as I do? Most people might say that check pattern is more fall than any other season, but I say who cares? Just have fun with it! Wearing: JollyChic coat (old, similar here, here and here); Monki jeans (sold out, similar here and here); Vince ankle boots (old, similar here, more affordable here and here); DKNY bag (old, similar here); Charlotte Russe scarf (old, similar here and here). That check is of fun! You are rocking the purple!